Michael Ryan is an Associate Private Banker serving Morgan Stanley's Wealth Management offices in Long Island, New York. 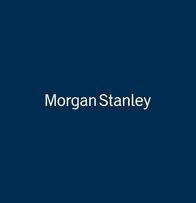 Michael began his career in financial services in 2010, and joined Morgan Stanley in 2017. Prior to joining the firm, he was a Citigold Relationship Manager for Citigroup's Private Wealth Management team. Michael was also a Private Client Banker with JP Morgan Chase Bank. Michael earned a Bachelor of Science with a concentration in Law and Society studies from Ramapo College of New Jersey. He and his wife live in Weehawken, New Jersey. Outside of the office, Michael donates his time to the Juvenile Diabetes Research Foundation. He enjoys playing golf, skiing, and camping.